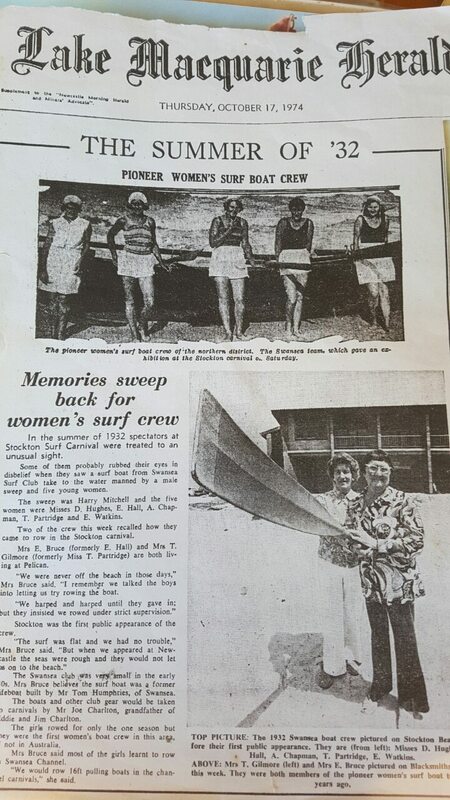 Swansea Belmont Surf Club Incorporated was formed in 1927 to patrol Blacksmiths Beach which is located within the City of Lake Macquarie, some twenty kilometres south of Newcastle, New South Wales. Situated at the southern end of Nine Mile Beach and immediately to the north of the notorious but beautiful Swansea Channel, the Club has provided a community service to beach goers and sea farers for nearly 90 years. Being a community based volunteer organisation the Club receives strong support from the local residents of Swansea, Blacksmiths and Belmont and is recognised for the training of youth in the area in surfing and life saving techniques. Boasting a membership of over 660 with approximately 170 members actively involved in lifesaving duties patrolling the beach, it is one of the larger clubs in the Hunter branch of Surf Life Saving. Of the above membership over 250 are U/6 to U/14’s, providing the club with ongoing generations of active members to maintain the high standards which are an integral part of the clubs history. Apart from its primary role of ensuring Blacksmiths Beach is safe the Club is also involved in other community activities. This includes the annual Community swim across Lake Macquarie. This four kilometre swim from the western shores of Lake Macquarie to Belmont attracts in excess of 300 competitors across all ages.